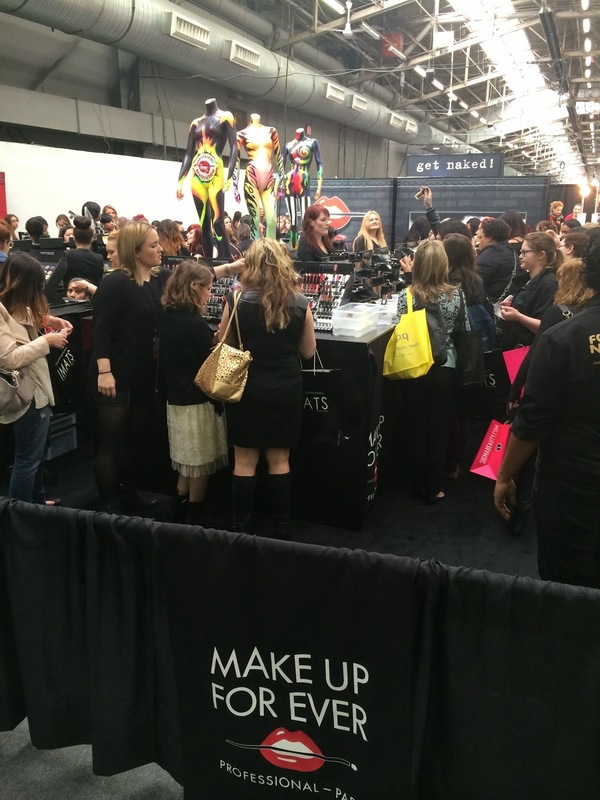 For my final series on my IMATS NYC 2014 trip, I want to share with you some tips that I think will be helpful to our next trip -- IMATS 2015 in your minds yet?!? I have been watching IMATS Haul on YouTube since I have been watching makeup tutorials and every year I do whine to hubby how I should've gone blah, blah, blah! And so this year he definitely pushed me to go and not miss this all day makeup event that is half an hour away from us! Before I did go, I wanted to see if there are any posts online on what to expect; how to navigate through the booths, anything to get myself prepared. 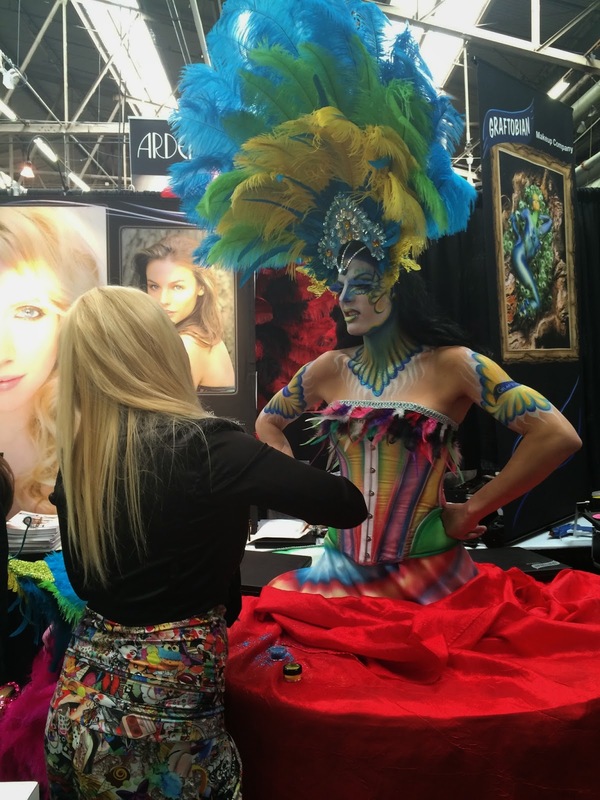 Here are some tips that I have learned from other posts and from my own experience going to my first International Makeup Trade Show. First off, I bought my ticket months before the event as soon as the tickets went on sale. Do not think to buy a month before or a week before IMATS. These tickets usually sell out as fast from what I have read and heard. Definitely decide right away once the calendar hits January, know exactly if you are going or not! IMATS has Pro Day (for the professional makeup artists) on a Friday and General Admission are Saturday and Sunday. You can go to both days or choose one of the days. I chose to go on a Saturday. Being this my first time and seeing what I have read, some of these booths sell out of their products fast. Because these companies come from different parts of the U.S, they only have a limited supply with them. Prepare a "MakeUp List" of all the products you want to see and you want to buy. IMATS was surely overwhelming so having a list to stick to was important for me. But of course there were times I weaned off my list and just bought some products. I like to start my list with two columns: makeup WANTS & makeup NEEDS. In reality we do not need all these makeup but talking to another beauty-holic to a beauty-holic who cares right?!? But of course, we all have a budget to keep in mind. Carrying a lot of cash can be a bit nerve racking to some. I, personally don't like to carry a lot of cash on me especially when taking public transportation. Splitting your budget by using a prepaid card besides cash is one way to keep that wallet from having too many singles: Some of these booths do accept credit cards now and so it is so easy to hand in a credit card but leave those at home! Bring a prepaid card with half of your budget and have the rest as cash. Not to promote anything but I used American Express SERVE as my prepaid card. With the Serve App, it was easy to check my balance. You can learn more about this product here, https://www.serve.com. Always check your balance once in a while. When you know you are about to go to a booth and make a big purchase check your wallet. Going back to your MakeUp List, do also list the retail prices of the products. And so you can justify in your head that the discount they do offer at IMATS is better than what Ulta or Sephora or any retail stores will offer. It is hard to say no to products that are hard to buy in-store and some online, and so I go to those first and check them off my list. Some of the booths will sell the same products (such as the Ben Nye Banana Powder or Z palettes or Beauty Blenders). Check all the booths before you purchase these common beauty tools and see who has the best price to offer. If you will be using a credit card: Do let your bank know either the day before or the week before the event that you will be at a Trade Show and will be using your credit card there. Some banks may freeze your card when they see your purchases because these companies come from different parts of the U.S and so your bank statement can have purchases coming from Florida, California and Texas, and this will put a red flag to your account. You can definitely call them when this happens to un-freeze your card but it is a pain once your at IMATS as this will take much of your time. Deciding to come early or later: Is mostly up to you. As this is my first time going, I wanted to be there when the doors open at 8:30am. Do expect 500 other girls have planned the same thing and may have been there since 6am, and so getting inside took another 30mins to an hour. Going a bit later may be better as there will be no super long line to get inside anymore. Also be aware, there will be long lines in every booth that has a big fan base following, such as Lime Crime, NYX Cosmetics, Sigma Beauty, MakeUp For Ever and so on. For time management purposes, since long lines will eat up your time at IMATS, going with a friend or making a friend at the event helps! When you know you will be in line for an hour or so, make friends with the girls around you! Offer to save their spot if there are booths she wants to take a quick look at and ask if she can do the same for you! Not only did you both get stuff done but you also made new friends! Going with a friend also means not all your pictures for that day will be selfies with the famous MUAs and YouTubers. You can even have a proper OOTD (Outfit Of The Day) picture to post! About what OUTFIT to wear to these big trade shows: Always remember to be comfortable! Do not wear those cute sandals or high heels if you plan to walk around for 3-5 hours! We were lucky enough that the weather here was a light sweater day since I was not planning to wear a heavy coat. The lighter your layers the better, the less you need to carry. I carried a cross-body bag as well for easy reach of my wallet and phone, and snacks! The food and drinks at these trade shows are usually over priced. Also with your bracelet you can go in and out of the building so if there's a restaurant or pizza place close by why not sit down and relax a bit and head back to IMATS after. Expect to carry a lot of paper bags since all the booths have their own cute bags when you purchase from them, and so having your hands-free of coats or bags is best. Charge your phone and camera to 100% before leaving the house. If you have extra batteries, bring them as there will be no charging stations at these premises. Some event spaces may allow you to charge but some don't. To my fellow Beauty Bloggers: Bring a lot of your business cards with you and do not hesitate to introduce yourself to each booth you visit. This is the best place to connect and network since most of the companies have their PR (Public Relations) person or the founder themselves at their booths. They are there not just to sell their products, they are there to socialize as well. They will be gladly to inform you about their products, the company and themselves! 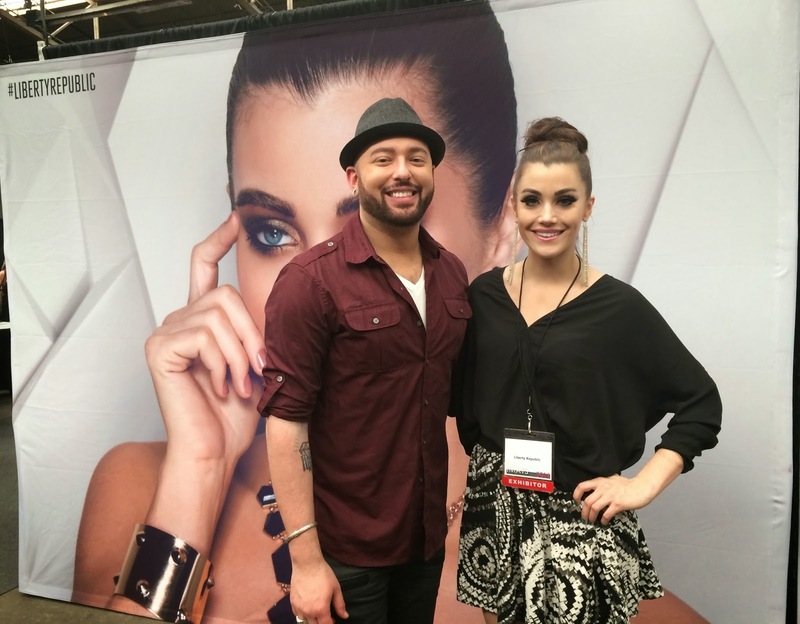 IMATS also have keynotes that happens in different stages that are located inside the event space. 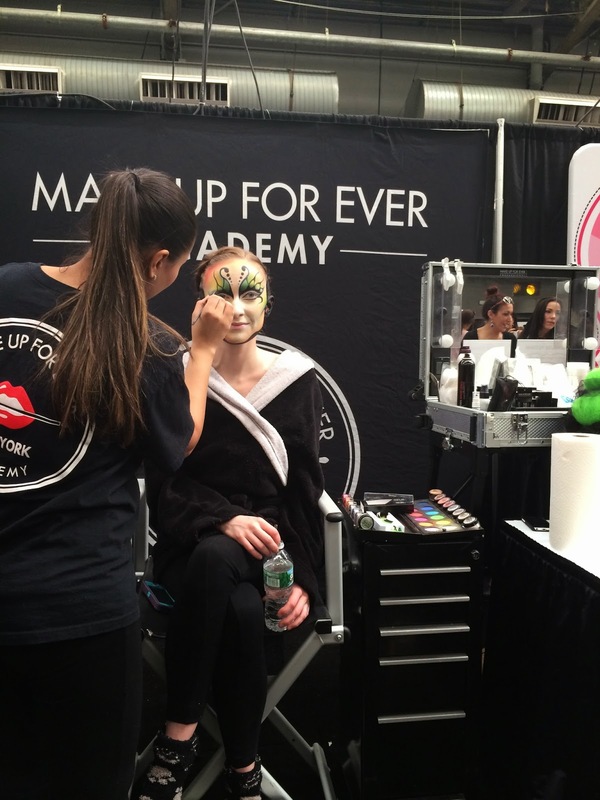 If you want to take a break from shopping, try to sit in one of these workshops and you may learn a few tricks that are shared by these big name professional makeup artists! There are also makeup artists at some booths demonstrating their talent and skills in makeup artistry at a model. You can't miss them once these models are done and walking around. They are amazing and just beautiful to look at! And finally, try to have fun and enjoy the experience! At the end of the day this is what you bring home with you besides the tons of makeup you bought. It is the people you meet that makes the experience worth going I think. It is great to meet the people who inspires us to play with our makeup; to go out of our box and try out different makeup looks; to maybe look into the business of makeup or becoming a professional makeup artist for some; to hear from the professionals themselves on how to achieve that perfect contour or bridal makeup look. 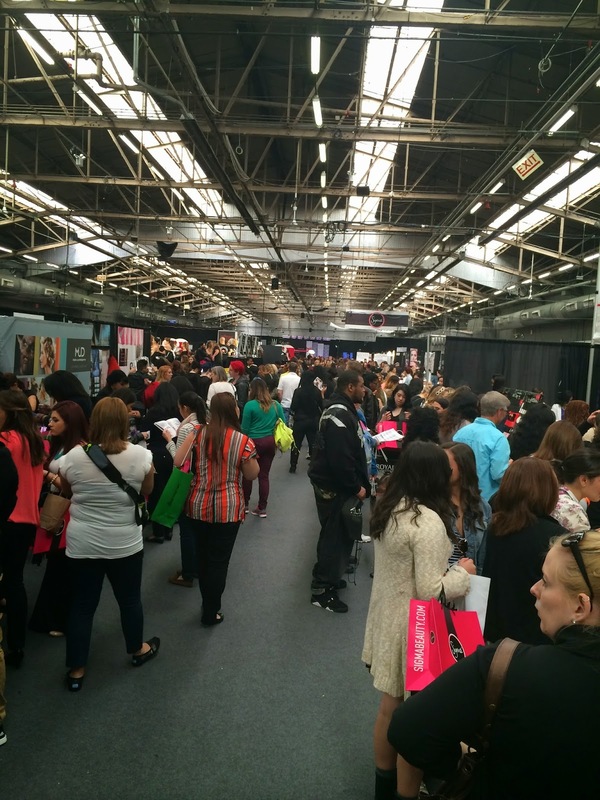 Some of these tips can be applied to any other trade show events. I do hope this helps you when you try to prepare for your trip to IMATS or any other trade shows. Thanks by the way for sticking around, I know this was a pretty long heavy written post. I do hope you did find some helpful tips here.